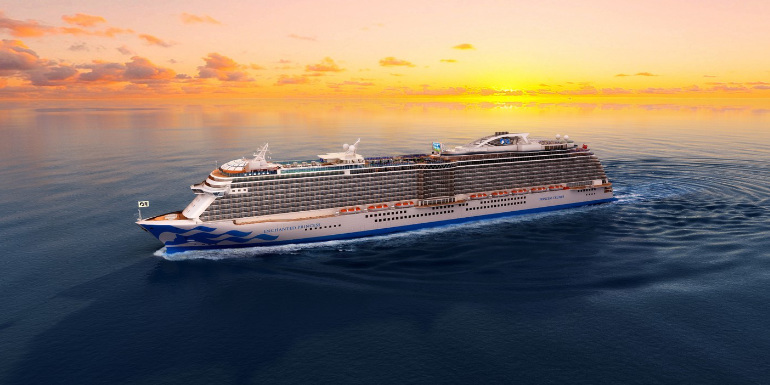 Princess Cruises has announced the name of a new cruise ship that will debut in 2020. The fifth Royal-class vessel in the fleet will be called Enchanted Princess, and is scheduled to debut on June 15, 2020. The ship will hold 3,660 passengers and sail a number of itineraries in Europe during her maiden season. Following the arrival of Enchanted Princess, the sixth Royal class ship will debut in 2022. Princess has also ordered two ships that run on Liquefied Natural Gas (LNG), which brings the count to five vessels in six years. The other four Royal class ships with Princess Cruises are Royal, Majestic, Regal, and Sky Princess - which joins the fleet in October 2019. Bookings for Enchanted Princess’ inaugural season will open on November 8, 2018. Are you looking forward to Princess' new cruise ships?